Welcome to Simply Knitting! We show you how to get started on gorgeous knits with easy-to-follow instructions: from fun clothes for toddlers to glamorous gifts for friends. Simply Knitting is your essential knitting companion! 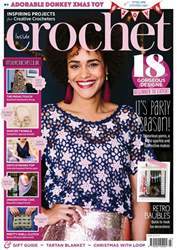 This exciting magazine is packed full of the best new products, designer interviews, club news, competitions and terrific technical advice, not forgetting exclusive reader offers and the most stylish new designs from famous names on the UK knitting scene. Friendly, inspirational and informative, it provides everything you need in one entertaining package. Simply Knitting is the ultimate guide to getting more from your needles!